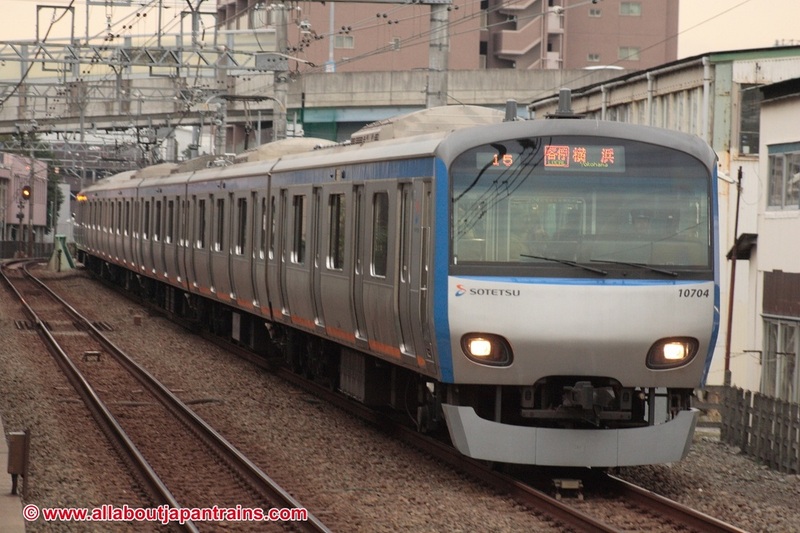 The 10000 Series is a four-door commuter-type electric multiple unit based on the JR East E231 Series and is operated by Sotetsu on both of its main lines. Other than a few cosmetic differences, the 10000 Series is identical to the E231 Series and shares almost all components. 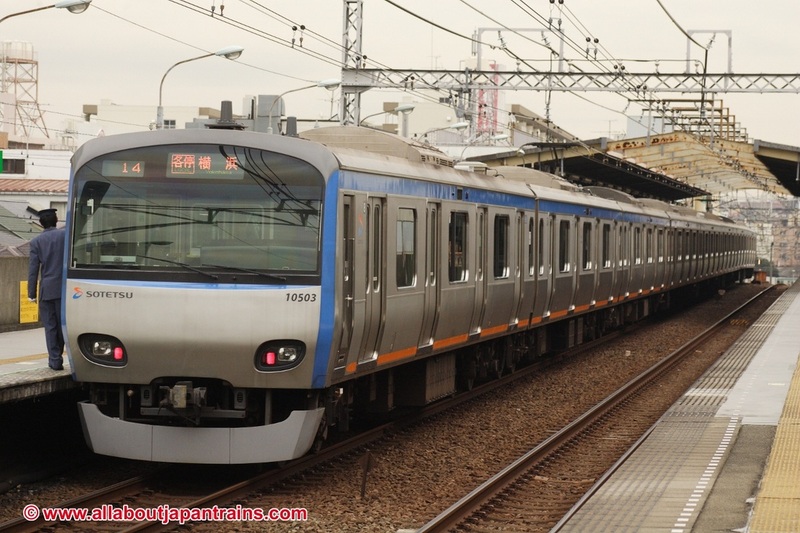 It was the first train constructed of stainless steel to be operated by Sotetsu and showed a departure from many of the traditional design featuers. Doors on the front faces of the end cars were abandoned along with the power windows that distinguished Sotetsu trains from others. The 10000 Series also introduced variable frequency drive using IGBT elements to the Sotetsu lines. Production has since switched to the 11000 Series, which is based heavily on the JR E233 Series.